I can definitely recommend this to anyone looking to maximise results. So thank you Lisa! Your service was amazing with friendly and relaxing atmosphere! Just to drop you a quick line thanking you for the i-lipo sessions. You certainly make inch loss a pleasure. After years of persevering with exercise and diet, i-lipo has shifted that stubborn abdominal fat that I had found impossible to lose. I've dropped two dress sizes and am looking forward to my beach holiday in two weeks time and wearing a bikini - something I never thought I would do again! A fabulous, relaxing way to lose inches with the minimum of effort. All done in a relaxing atmosphere and amazing to see instant results. I have lost 30 cms in total from the three areas measured and have maintained this lose with healthy eating and normal excercise. Lovely Lisa thank you! After having only 4 treatments before going on holiday, I can honestly say it was the most comfortable I have been wearing a bikini! I lost after every treatment & felt so much better for it. I only wish that I started earlier & had all 8 before going away but even just half way through the course made such a difference. From first meeting Lisa she was lovely & put me at ease instantly. I'm looking forward to having more! I had 3 sessions with Lisa and was really rather sceptical as to what the results would be but was pleasantly surprised how noticable it was. Having lost over 4 stone and having 2 children i wanted to tone my tummy area. The process was quick and was painless and Lisa quickly put me at ease. My excess flab is definately less and overall i was really impressed with the procedure. Hope to possibly have more in the future. Thanks Lisa, After 5 out of my 8 treatments I am back in my favourite jeans. Delighted! Really pleased with the results from my i-lipo sessions. So glad I decided to do this before I go on my holiday. 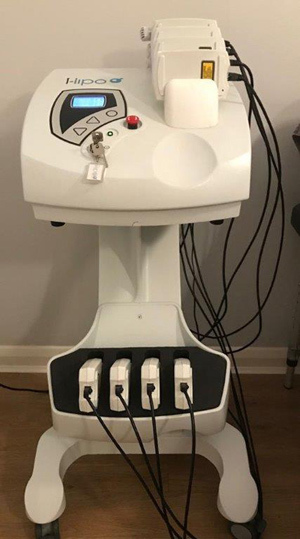 This process of fatty acid release is a natural response of the body when the body needs to used stored energy reserves, thus i-Lipo is not creating any unnatural reaction in the body nor does it affect or damage any surrounding structures such as skin, blood vessels and peripheral nerves. A period of exercise post treatment will ensure the complete metabolism and thus elimination from the body of the freed fatty acids. 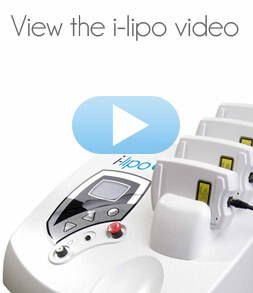 The i-Lipo system has many advantages over other similar systems. Here are just a few! i-Lipo can target fat reduction in specific problem areas. By positioning the laser pads on the target area such as chin, upper arms, abdomen or thighs fat can be broken down and removed specifically from that area. This is a big advantage over diet and exercise which can reduce overall body fat but not shape individual areas.